Jeremy Vitry is an artist from France who has worked for companies like Ubisoft and Tokkun. 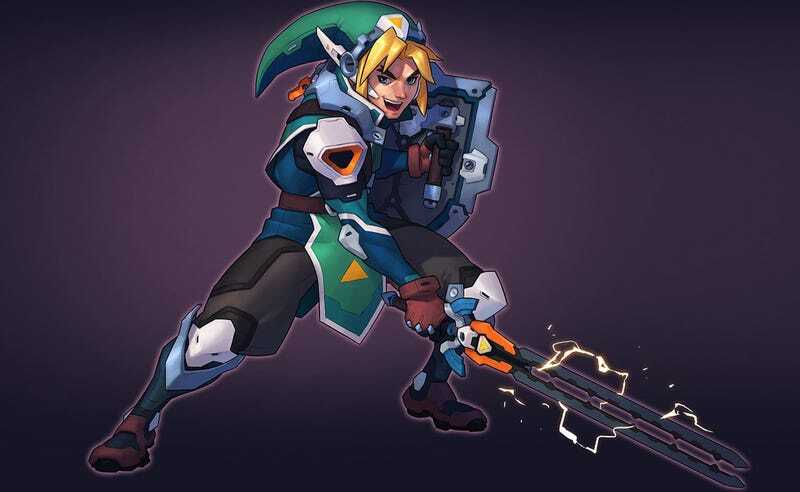 The Link stuff you see here was done for a recent Character Design Challenge, where he re-imagined Nintendo’s hero to “look a bit like an Overwatch character, since I’ve been playing the game a lot lately and the designs are so freaking awesome!” You can see other entries here. To see more of Jeremy’s work, head to his Facebook and ArtStation pages.